Last year we published Brian Ruckley’s superb adventure fantasy THE FREE [UK/US/ANZ]. Featuring desperate battles, terrifying magic and a host of memorable characters, THE FREE follows the adventures of the kingdom’s greatest mercenary company, as they take on a final contract in an attempt to right past wrongs and erase the painful memories of their darkest hour. Drawing comparisons to films like Seven Samurai and The Magnificent Seven, THE FREE received widespread critical acclaim upon publication, and received starred reviews from both Publisher’s Weekly and Library Journal. The good news is that the adventures of The Free don’t end with this novel – far from it! The world that Brian has created is too large, and the history of the Free too bloody and tumultuous, to be explored in just a single novel. So we’re very pleased to announce three new novellas that will explore the eventful past of this famous mercenary company, all of which will be published this year. 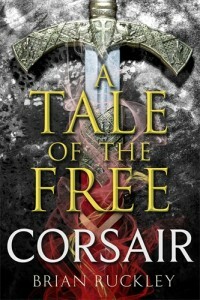 The first action-packed novella is A TALE OF THE FREE: CORSAIR which publishes today, 1 March. 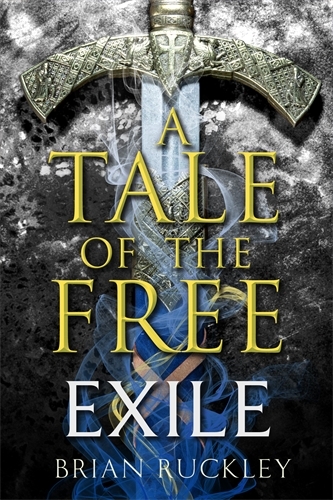 The second novella, A TALE OF THE FREE: EXILE, will follow in June. 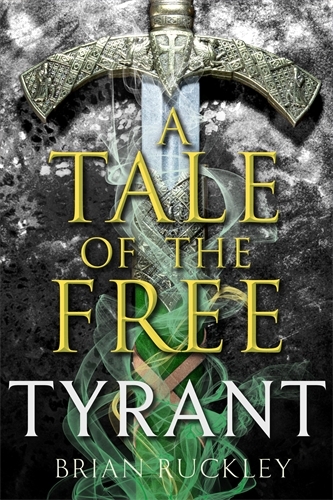 The third, A TALE OF THE FREE: TYRANT, will be published in September.